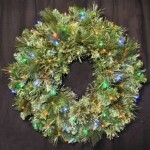 Create a warm and festive tone in any area. 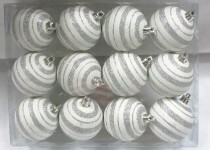 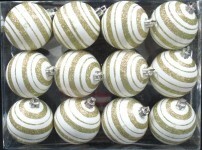 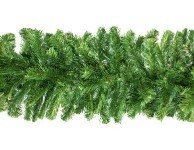 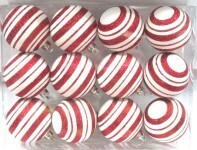 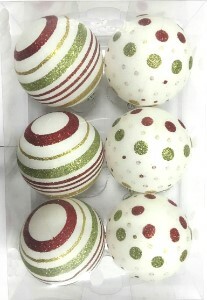 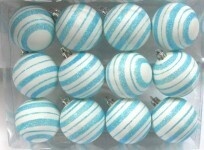 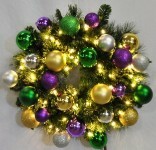 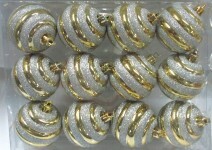 These traditional 4" white ball ornaments are a classic for any home or business. 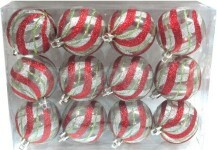 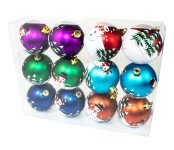 6 pack contains 4" ball ornaments, each with gold, red, and green glitter enhancements and a matte finish. 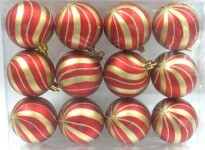 Dangle these ornaments from ceilings, trees, or your porch.